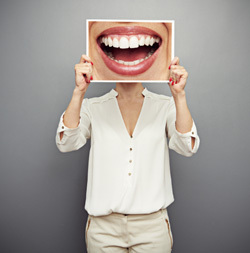 The first step to maintaining a healthy smile is strong oral hygiene, and that begins with routine teeth cleanings. Visiting your dentist every six months to a year for a routine teeth cleaning will help ward off dental conditions such as cavities and gingivitis. Beaufils Dental provides thorough teeth cleaning services in Cooper City, and our mission is simple: to keep your smile shiny and healthy, both inside our office and out. Even the most careful brusher or flosser will sometimes experience some sort of tartar build-up in areas that are harder to reach. For this reason, it is important to take professional preventative measures in between your inter-dental treatment. Practicing proper oral hygiene regularly will also decrease any discomfort or sensitivity during the procedure. Have your teeth received their routine cleaning? If not, you may be dimming your smile with layers of unwanted plaque and build-up. Put your smile in the hands of a trusted dentist who can not only keep your teeth healthy with deep cleanings, but provide insight on the do’s and dont’s of interdental treatment. Our team at Beaufils Dental is a trusted source for Cooper City teeth cleaning and other dental procedures, so you’re only a visit away from obtaining the smile you desire. Call us today at 954-252-1390 for a dental evaluation.